This article was originally posted on The British Continental. You can read the original here. Adam Hartley had a breakthrough year last season and is one of our U23 riders to watch in 2019. In just his second year as a U23 rider, he competed with some of the best young climbers in the world to finish eighth overall in the Tour d’Alsace, his best result to date. The result confirmed the promise he had shown in previous years. He beat Ryan Mullen’s national junior TT record over 10 miles in 2016, earning a spot in the GB Team for the Junior European Championships in France later that year. 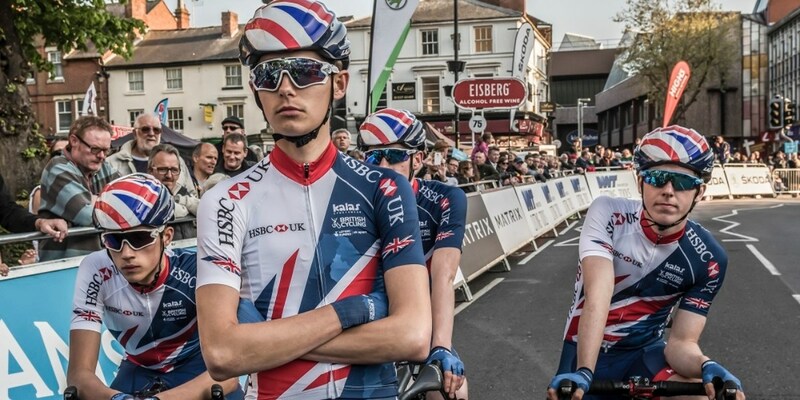 And in 2017, his first year as a U23, he joined British Cycling’s Great Britain senior academy programme and was the youngest rider to ride the Tour de Yorkshire. Despite his strong Alsace performance, 2018 was far from straightforward. A laceration to his wrist had him worried his career might be over. This forced him to miss key races including the Tour de Yorkshire. Then later that year he crashed in the Tour de L’Avenir just before the mountain stages, the effects of which prevented him being at his best on the territory he excels in. This season, still only 20, he has moved to the continental-level SEG Racing Academy.This team has previous with talented British climbers. Stevie Williams rode so impressively for them last season that World Tour team Bahrain Merida signed him. And Alex Peters graduated to Team Sky from the team. I began cycling as a youngster (aged 10) having done lots of other sports beforehand. As a family, we would travel to cyclo-cross events and have a blast throughout winter. Summer was the same but on the closed road circuits. We travelled wide and far doing things like the Youth Tour of Assen in the Netherlands. And I understand you had a spell riding in Spain as a second-year junior (with the Duranguesa S.C. Junior Team). How did that come about and how was your experience of it? During my junior racing I rode predominantly for the VCUK PH-MAS junior team, managed by Neil Hendry. This was a great team and dominated the UK scene with riders like Rob Scott and Tom Pidcock. I had an arrangement with Neil where I could guest with the Spanish club from time-to-time. The cooperation with the Durango cycling club was arranged through Josu (the club manager) who had cooperated with Scottish and English riders over many years. Steve Lampier (ex-JLT Condor) was one of the first British riders to experience the exchange program which involved living with a Basque family and then bringing a Basque rider back to the UK for an exchange. We heard about the exchange opportunity from Pete Donovan (father of Mark), and we both went over there at the same time. In the early days Scottish Cycling endurance coach Mark Mckay was instrumental in sending over Scottish riders. How would describe yourself as a cyclist? A climber? An all-rounder? I see myself as a versatile rider with a specialism in climbing. I would like to develop into a GC rider and I think my ride in the 2018 Tour of Alsace demonstrated that I have got potential to be that kind of rider. 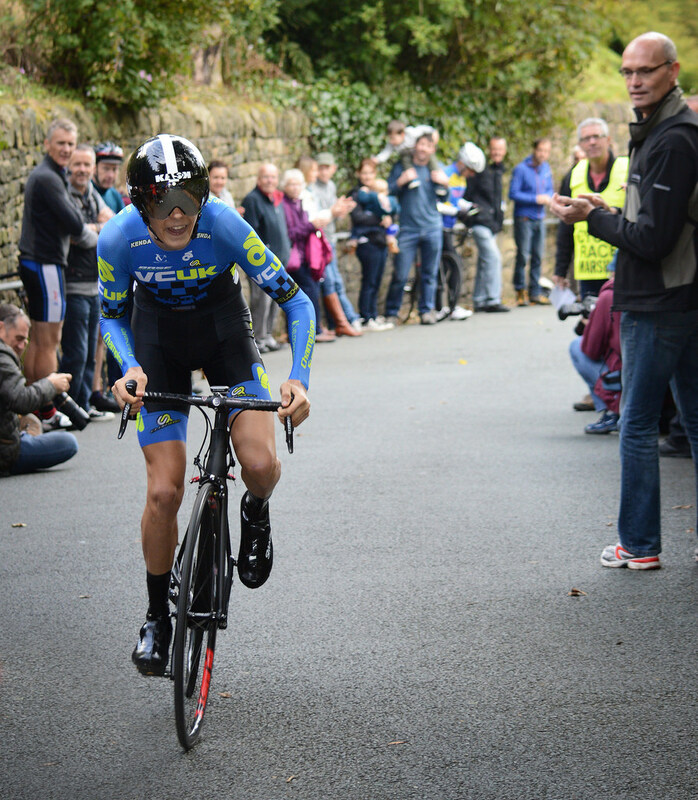 Over the years I have proved myself to be a capable time trialist having broken the national competition record for the Junior 10 Miles TT with 18 mins and 44 seconds in 2016 [a record held by Ryan Mullen, now with Trek Segafredo, at the time- Ed]. I also performed well in UCI stage race time trials at the junior level and held my own in team trials whilst on the academy at U23 level. It’s not often you find a lightweight climber that can deliver good power and efficiency in flat time trials, so I think this is where my versatility lies. You’ve raced with the GB senior academy team for the last two seasons. It looks like you got some quality racing under your belt in 2017, including the Tour de Yorkshire and the Tour of Britain. How do you feel the 2018 season went? Far from ideal… but could have been much worse. When we arrived in Italy for the first block of training in early ’18 the weather was pants and we had an interrupted start to our preparation. 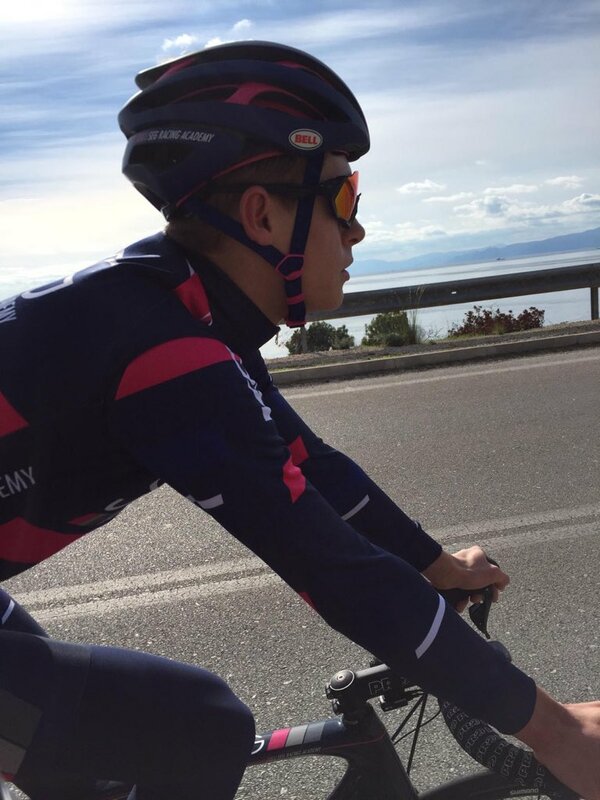 I did not really find any great form in the early races and so I sat down with Keith Lambert [road manager for the GB academy team – Ed] in early April to address my issues and we re-planned my training in preparation for the San Vendemiano in order to carry form into the Tour De Yorkshire. Unfortunately, just before the Italian race, I suffered a very serious off-the-bike injury involving a wrist laceration. I basically needed surgery to suture 3 tensions and repair my median nerve, leading to 10 weeks off the bike. An injury of this nature usually takes at least 12 weeks before any load can be carried by the wrist. Being young and ambitious I challenged the timescales and set myself targets for returning to racing so I could at least try and salvage something from the season. I was gutted not to be able to start the Tour de Yorkshire, but this was compounded by the realisation that I may never race again, let alone return to racing in 2018. To cut a long story short, I managed to convince British Cycling that I was ready to race in mid-July and I began doing local road races, crits and time trials. I won the majority of these races, but the crucial result was my win at the Bole Hill Elite road race against a decent field that included notable elite climbers such as Mike Cuming (Madison Genesis) and Adam Kenway (Vitus Pro Cycling). Consequently, I was selected for the GB team at the Tour of Alsace in July and this led to my selection for the prestigious Tour De L’Avenir in August, one of my early season targets. I was also super happy to be on the long list for the Worlds in Innsbruck and felt a little unlucky not to make the final selection of 5 riders but when you consider who was finally selected [James Shaw, Ethan Hayter, Mark Donovan, Max Stedman and Stevie Williams – Ed] then I suppose I can’t be too disappointed. Your performance in the Tour d’Alsace was particularly notable. Would you say that was a breakthrough race for you? I always felt like a performance of this nature was in me, but I certainly lacked the physical development in my first year U23 to deliver this kind of result. I think my injury allowed me to re-focus and totally commit to coming back as strong as possible. I was pleased to come away from the race with 2nd in the team time trial and then 8th and 11th on the two mountain finish stages, pushing me into 8th overall. And how did racing the Tour de l’Avenir compare to racing high-profile senior races like the Tour of Britain? L’Avenir is totally different compared with UK domestic races and especially the controlled nature of the Tour of Britain where World Tour teams call the shots. The format of the L’Avenir is a little bit frustrating for a climber in that all the climbing stages are at the end of the race so you have to be able to maintain good form for 10 days and be very lucky to avoid crashes and stay healthy. The race in 2018 was basically 6 ‘full gas’ flat or rolling stages in a row, followed by the mountain stages, and I had good legs for the first 5 stages. My bad luck arrived on stage 5 when I crashed hard with 20km to go after the yellow jersey came down near the front of the peloton. I never really recovered from this crash and found stage 6 (180km and longest stage) pretty tough. In the end, I was pleased to finish the race but felt that I never really got going in the mountains which should have been my territory. C’est la vie! I always planned to leave the academy after two years in order to focus on the road. Why did you leave the Great Britain senior academy and join SEG? The academy is a track and road programme and being I climber, I never really featured in the track side of things. 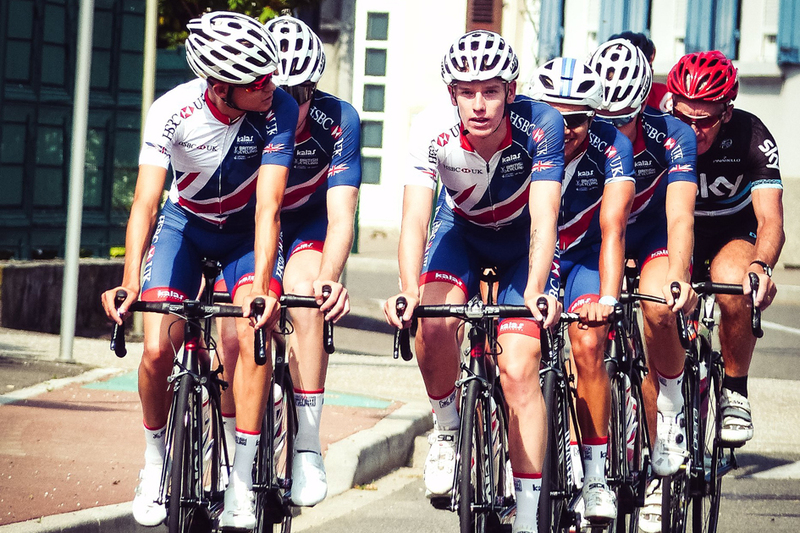 The road programme offered by the academy is still top class and provides a good level of certainty that you will get to ride in UCI Nations Cup and exceptional development road races such as the Tour de Yorkshire and the Tour of Britain. If you look at the British riders that have made it to World Tour, the vast majority have spent time on the academy at some point in their careers. The access to world-class facilities, equipment, racing calendar, medical and mentoring is second to none and I have a lot to thank the academy for, especially the likes of Keith Lambert. The bottom line though is that the academy is lottery funded and the programme is therefore focussed on delivering success in the track discipline at the Olympics. Inevitably this means that the road programme is also focussed on races that suit the track riders whereas teams such as SEG focus entirely on developing road talent by tailoring road calendars to suit each rider. Where are you going to be based this season? Not in the UK! 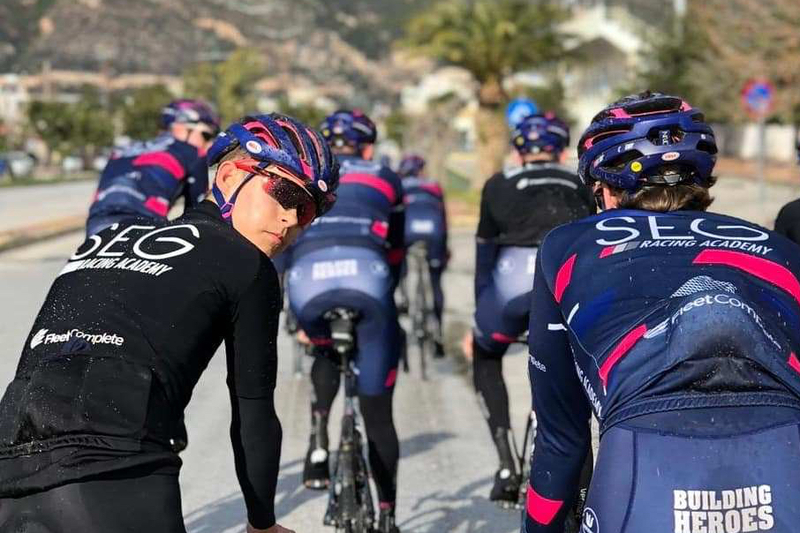 SEG has facilities in Eindhoven but our coach and one of the mechanics of the team are Greek and are therefore able to facilitate training camps in Loutraki on the Greek mainland. It may sound like an unusual destination, but I have just returned from a 3- week block with temperatures in the high teens, good roads, plenty of climbs and thoroughly enjoyed it! Citrus fruits grow in the garden! Both Stevie Williams and Alex Peters have been out there doing the same kind of thing in recent years. We are also considering an alternative base in Girona to reduce the travel time between races. What’s your race programme looking like? This is still ‘work in progress’, as SEG need to optimise calendars for the whole team. And I am also hoping to for selection with the GB team for some important races. The general plan is to begin with a classics campaign in Belgium. This will start with some stage racing at the Triptyque Mont et Chateau and/or the Circuit des Ardennes and will end with some single day events: Liege-Bastogne-Liege and Fleche Ardennaise. My preparation will then lean towards the Ronde de L’Isard in late May, but I would also love to get selected by GB to ride in the Tour of Yorkshire in early May. In June I hope to head out to the Baby Giro and then follow this up with the Giro Valle d’Aosta, both in Italy, before heading to France for the Tour of Alsace. In August I hope to be selected to represent GB at the Tour de L’Avenir and ultimately earn selection for the road worlds in Yorkshire at the end of September. And what are your goals for the season? In the early part of the season, I would like to build my form in order to peak for Liege-Bastogne-Liege and Fleche Ardennaise. These races will follow team orders but if I am on good form, no doubt I will be given some freedom to go for a result. For the stage races (Ronde de L’Isard, Baby Giro, Giro Valle d’Aosta, Tour of Alsace), I will be looking for mountain stage victories and high GC placings. For L’Avenir I want to remain strong throughout and show myself in the front group in the mountains. Ultimately, I would like my results through the season to earn a place in the GB U23 road team at the Yorkshire Worlds at the end of September. We would like to thank David Soteras and Vasilis Anastopoulos at SEG Racing Academy for helping to facilitate the interview.